The youngest of three footballing brothers who all had association with Leeds City he played for school teams, Blyth Secondary School Juniors, County Durham Schools, Northumberland County Football and Blyth Senior Secondary School Seniors, before taking the same path as his elder brothers with New Delaval Juniors and New Delaval Villa. His two elder brothers had played with Leeds City as War-time guests and there was much talk that they would join the club when the Football League fixtures were resumed after World War One. They were both with Aston Villa before the War and they returned to them after the War. Second Division Leeds did manage to secure the services of the youngest brother but he never played a game for them as, along with several other young talented players who were also to become full internationals, he was one of the players to go under the hammer at the Metropole Hotel after the club was suspended by the Football League. A paltry £250 took him to First Division Villa to join his two brothers and Billy Kirton and another Leeds star, John Hampson, at his new club. 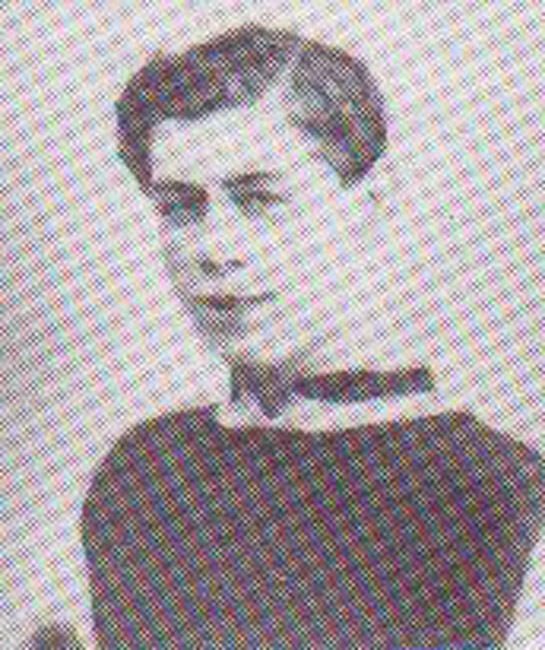 He had only just turned nineteen and he served his time with the Villa lower grade teams and gained an England Youth Cap in April 1920 in his first season, before being loaned to Stourbridge from August 1920 to March 1921. On his return he made three League appearances in the 1921-22 season and another five the following season before scoring his first goal for Villa and playing nine games in 1923-24. He scored five League goals in thirteen appearances in 1924-25, when he also played one F.A. Cup game, as he started to establish himself at Villa Park. He scored three goals in twenty-five League fixtures in the following season before having his most prolific season with Villa when he scored thirteen goals in thirty-six games in the League and made one F.A. Cup appearance without scoring in 1926-27. After playing just two games of the new season he was sold to Derby County for £2,000 in November 1927. He had scored twenty-two goals in ninety-three League appearances and had also played two F.A. Cup ties whilst with Villa. While at Villa he was seen as a classic schemer, preferring to make goals for his strike colleagues, but at the Baseball Ground he took a more advanced role. In his first season he rattled in seventeen goals in twenty-eight League games and one more in three F.A. Cup ties. This saw him rewarded with his first England cap and he scored twice on debut on 17th May 1928 in a 5-1 thumping of France at the Stade Olympique, where at Inside Left he scored a twenty-first minute equaliser after the home side had opened the scoring after just two minutes and it was he that rounded off the England scoring with a goal ten minutes from time. Two days later he was again at Inside Left as England won 3-1 in Antwerp against Belgium. In 1928-29 he was again in double figures with eleven in thirty-two League games but none in three F.A. Cup encounters. 1929-30 saw him hit the net fourteen times in thirty-one League games and twice in two F.A. Cup ties. In his final season for Derby he had scored eleven goals in twenty League games and made one appearance in the F.A. Cup before he was transferred to First Division Champions Sheffield Wednesday in February 1931. His stay at the Baseball Ground had been fruitful for both the player and the club as he had scored fifty-three goals in one hundred and eleven League games and three more in nine F.A. Cup ties while the club had finished fourth, sixth and second in the three full seasons he had been there. He carried on where he left off with Derby and scored four times in the ten League games he played in the 1930-31 season as the Owls finished third in the League. 1931-32 was just as rewarding as he netted twelve League goals in twenty-six matches and scored twice in five F.A. Cup games as Wednesday again finished third. In the final season he missed games due to injury and had scored once in just three League games and another in just one F.A. Cup tie and, fearing that his career was coming to an end, he was sold to Second Division Preston North End in 1933. While at Hillsborough he had scored seventeen goals in thirty-nine League games and three more in six F.A. Cup ties. He also added his third and final England cap to his collection, playing at Inside Right against France once more in the Stade Olympique on 14th May 1931, when France gained revenge with a 5-2 win. Stephenson was now reaching the end of his career and he dropped to the Second Division when he signed for Preston North End in 1933. He formed a good partnership with another former English international, Robert Kelly. Other impressive players at the club at the time included George Holdcroft, Bill Shankly, Frank Gallimore, Jimmy Milne, Bill Tremelling, Henry Lowe, and Frank Beresford. Another experienced striker, Jimmy Dougal, joined the team half-way through the season. In his only season at Deepdale Stephenson scored sixteen goals in twenty-five League games, and also played in three F.A. Cup ties without scoring, as he helped Preston to second place, behind Grimsby Town, and promotion to the First Division. Stephenson, like Robert Kelly, was considered too old for First Division football, and so he was sold to Charlton Athletic in the Third Division (South) before the start of the 1934-35 season. In his first season he helped Charlton win the League title, as he scored five times in twenty-two League games and made two appearances in the F.A. Cup. The following season Charlton were promoted to the First Division and his contribution was five League goals, including three from the penalty spot, from seventeen League appearances. Although approaching thirty-seven years of age and considered too old for the top flight he still managed two goals in eleven games in the 1936-37 season as Charlton finished second in the First Division before he called it a day. After retiring from playing he worked as a coach and Assistant Manager at Charlton Athletic and was Manager of Huddersfield Town from August 1947 to March 1952. He died, in Derby, on 18th August 1971. His son Bob was also a professional footballer, playing for Derby County, Shrewsbury Town and Rochdale in the 1960’s, as well as playing cricket for Derbyshire and Hampshire between 1967 and 1980.